Stairs are everywhere – but you might not pay them any attention, until you start to have problems getting up and down them. Stairs can be risky for anyone, but if you have a disability, post-surgical issues, or just general wear-and-tear from advancing age, they can become a real burden. It might feel as though you will never again be able to do the things you used to take for granted! Luckily, there are plenty of innovative devices available to help you get safely up and down the stairs, even if you are a wheelchair user. One of these mobility devices, although perhaps a lesser-known one, is the stair chair. Not to be confused with a stair lift (or a lift chair), a stair chair is a motorized wheelchair-like device that is specifically designed for stairs. A helper guides the lift on the staircase, but the motorized base does all the heavy lifting. 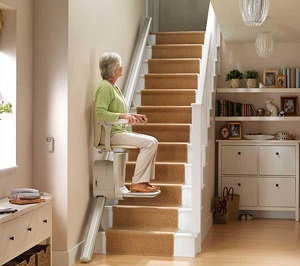 Stair chairs are also called portable stair lifts, or mobility stair climbers. They can be designed with a built-in seat, or as a base that attaches to a user’s own wheelchair. Some stair chair models are designed only to descend the stairs during emergencies where fast evacuations are needed. They are not designed to move upstairs, so won’t be suitable for daily home use. 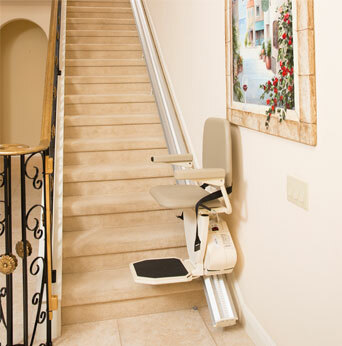 You won’t need to install a stair lift track for these devices. You can use the stair chair the moment it gets delivered. 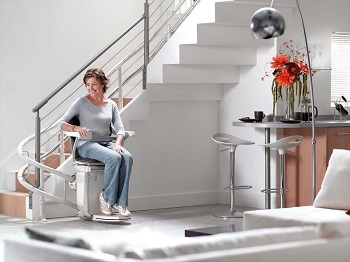 Stair lifts are installed on only one staircase in your home. A stair chair, on the other hand, is mobile and you can use it on any staircase in your home. You can take your stair chair along with you while travelling – most models are compact and easy to transport. Depending on the model of stair chair or portable stair climber, you can climb just about any staircase – outdoors, curved, concrete, or carpeted. The mechanisms are designed not to damage carpets or stairs. You can use a stair chair or mobile stair lift in places without power, as long as the battery is charged. For wheelchair users, a stair chair can be a great option compared to a customized wheelchair platform lift. These require an extensive remodel, and are installed to stay in one place. 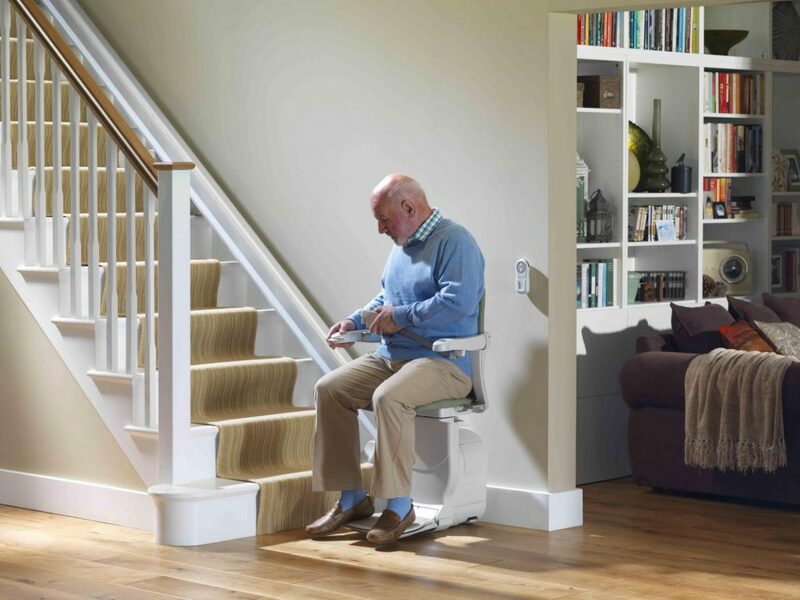 With a stair chair, you have access to stairs wherever you go. There are a number of stair chair options available. Permanent wheelchair users can select a model that fits onto their manual or power-operated wheelchair. 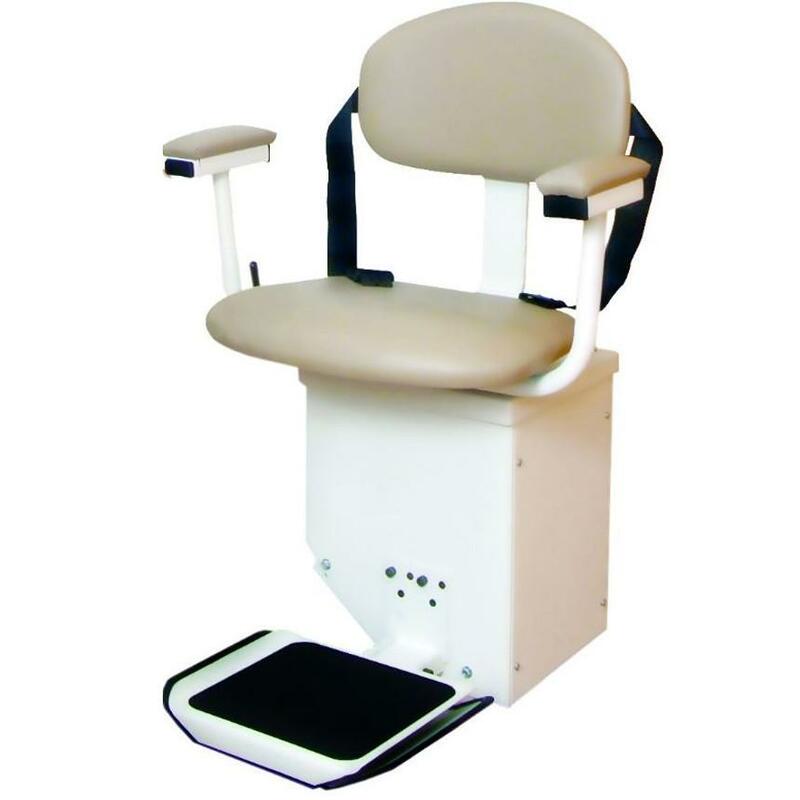 Users who are able to stand and walk to some degree can select a model with a built-in seat. All models require an assistant to help the chair up and down stairs, but there’s no heavy lifting required. The lifts run on rechargeable batteries, and can be used anywhere you want. We’ve looked at 3 different types of stair chairs below, to give you an idea of what to expect if you want to buy one. 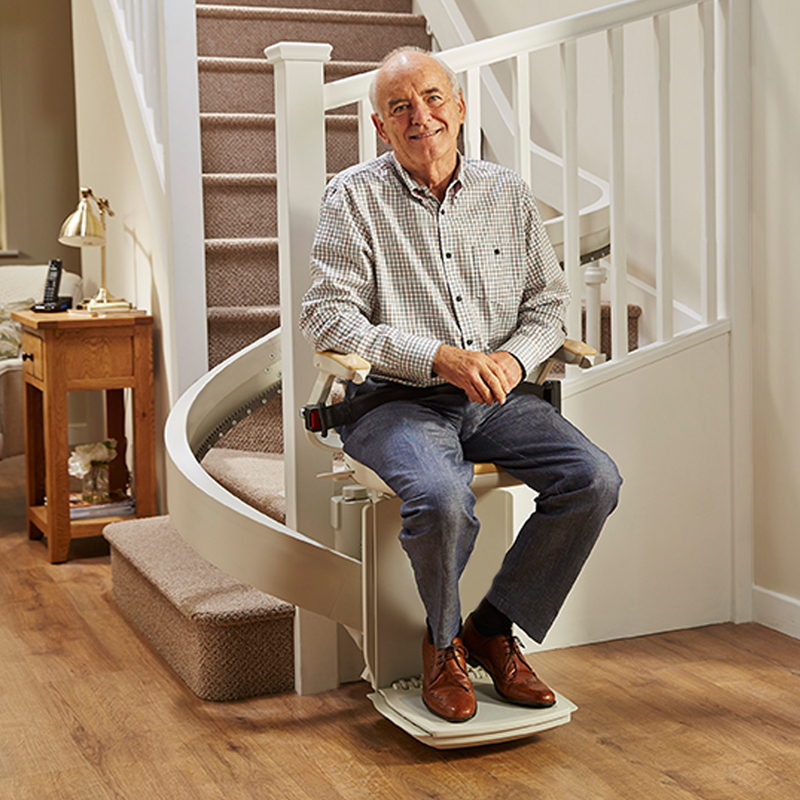 The Garaventa Stair-Trac portable stair lift is a motorized “caterpillar” track device that can be attached to most standard manually-operated wheelchairs. It can be used on wooden, concrete or carpeted stairs. It is most suitable for straight staircases, or stairs with landings that have ample turning space. 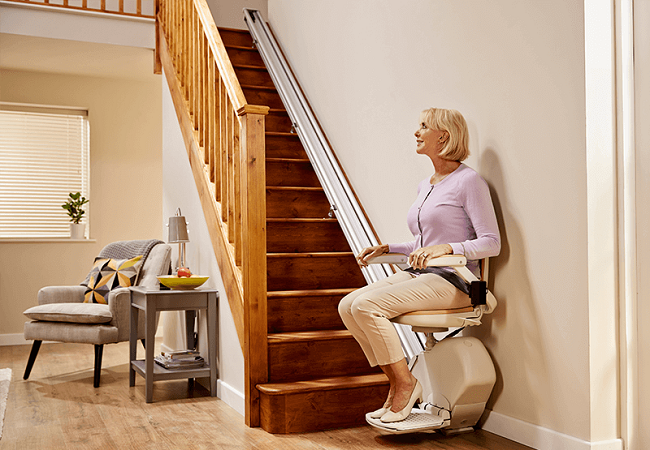 The Scalamobil portable stair lift has a stair-climbing mechanism consisting of two sets of motorized wheels on an axle and frame. The device moves the wheelchair from floor to floor up the stairs at the touch of a button. This lift can be used on curved and narrow staircases. Compatible with many types of wheelchairs – comfort, active, paediatric, etc. The Liftkar PT-S stair climber has a built-in seat that is suitable for users with some mobility, who just need assistance on the stairs. It can also be used safely on ramps, as it has a braking system that kicks in when the lift is tilted backwards. Stair chair costs can vary, depending on the type and optional features, from $2,000 to around $10,000 brand new. 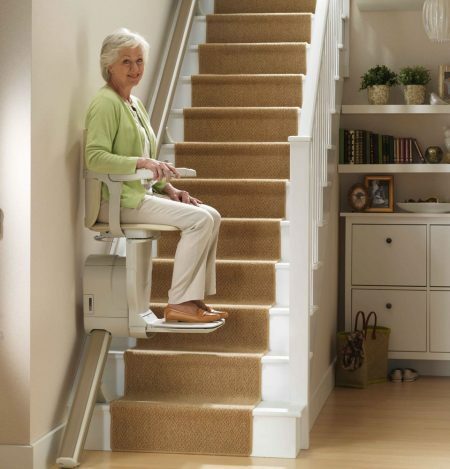 This is in the same range as stair lifts, but remember – you won’t be paying any extra installation fees. 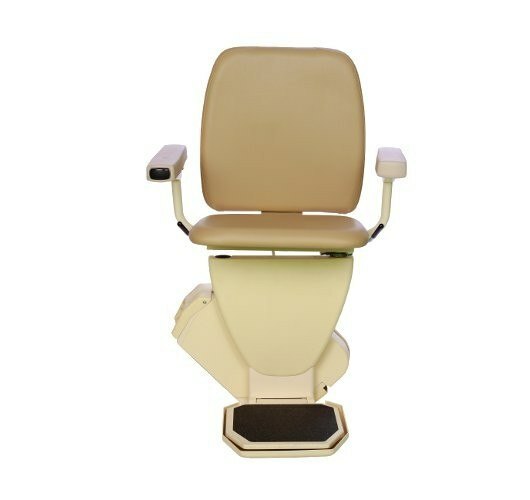 Used stair chairs are also available from various outlets that specialize in mobility devices, at a lower price. You can also buy budget stair chairs from ecommerce sites worldwide. Make sure you understand the risks of buying imported goods of this type from foreign sites. Familiarize yourself with warranty issues, and whether you’ll be able to get parts quickly if needed. If you’re a carer, you’ll have to learn to handle the stair chair safely. It’s best to practice with an empty chair the first few times up and down the staircase! Stair chairs have a weight limit, so are not generally suitable for bariatric users. There are models available that can accommodate up to 400lbs, but these are mostly designed for use in medical emergencies. Using them at home on a regular basis might increase the risk of an accident. These innovative devices can really help you maintain your ability to travel around easily. If you’re a wheelchair user, you can have peace of mind knowing that you’ll be able to move up and down the stairs wherever you are. 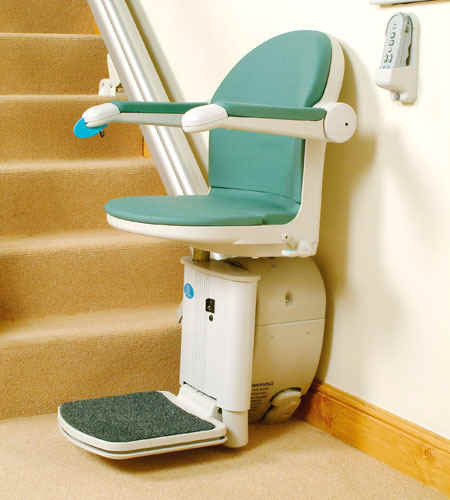 Stair chairs also minimize strain and risk of injury on carers. Stair chairs are recommended mainly for disabled people who have assistance at home, don’t want the hassle of installing a stair lift, and who also want to be able to move freely outside the home. If you have mobility issues that prevent you from getting up and down stairs easily, it can be especially frustrating trying to access the outdoor areas of your home. Raised porches, a split-level garden with stairs, or a private jetty with stairs can seem completely out of bounds. Luckily, there are options available that let you enjoy the outdoor features of your home with independence and safety. 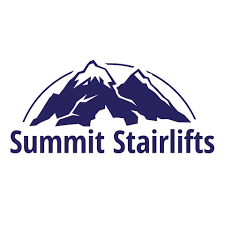 Outdoor stair lifts work under the same principles as an indoor stair lift, and come in various styles and levels of functionality. The only difference is that they are designed to withstand the great outdoors. What Features Should An Outdoor Stair Lift Have? An outdoor stairlift is one of the best investments you can make, if you want to continue moving around your property as much as possible. Here are a few considerations to keep in mind, if you’re shopping around for one of these lifts. One of the first things that springs to mind when you think of a motorized appliance installed outdoors is probably “But what happens if it gets wet?” It’s daunting to think of sitting on a stair lift that’s been soaking outside in wet conditions. Fortunately, manufacturers have taken this into consideration. Outdoor lift seats and rails are extremely durable. They are built to handle sub-zero temperatures, hot temperatures, rain, and UV rays. Outdoor lifts are designed to be fully functional and safe even in poor weather conditions. The electronics and rechargeable batteries are well protected from rain and wind. Water-repellent surfaces and corrosion protection help to extend the life of your lift for as long as possible. 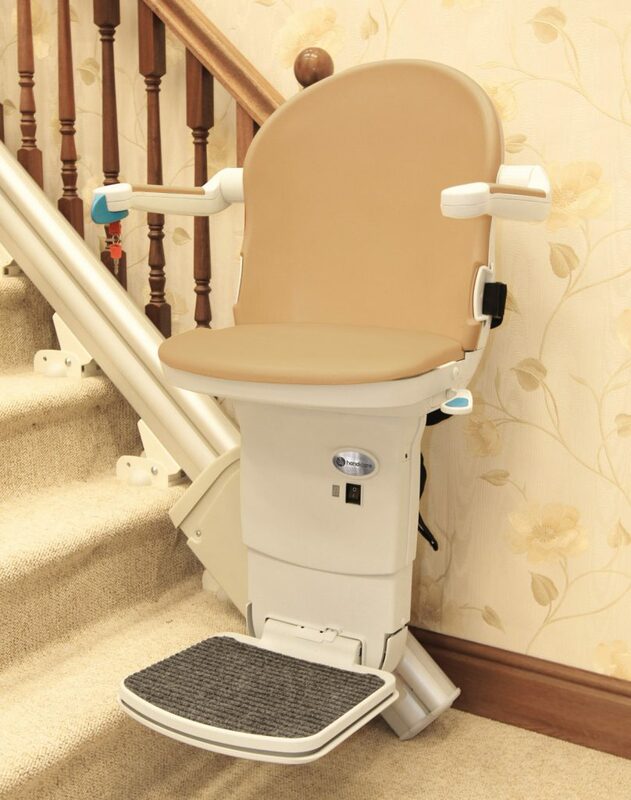 Stair lifts should have rigorously tested components that will last for many up and down journeys. Rechargeable batteries ensure that you’ll be able to move between the levels of your home even during a power outage. 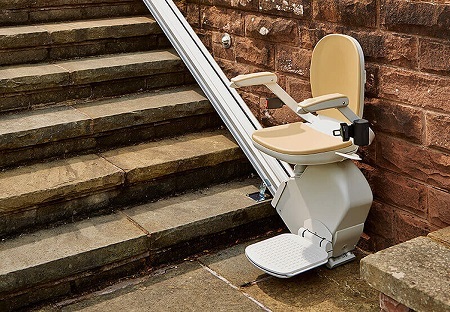 Outdoor stair lifts should be fitted with sensors to detect any obstructions. If there’s something in the way, the lift should be able to stop straight away – but gently! Some stair lift models can be locked with a key, so that the primary user is the only one who has access. This is vital if children live in or visit your home. It also stops curious strangers from tampering with your lift, if it’s visible from the street. 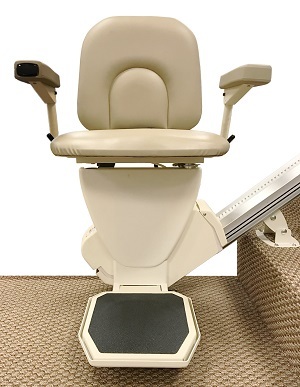 Your stair lift should incorporate a seat belt, to help you stay balanced and securely fastened into the seat. 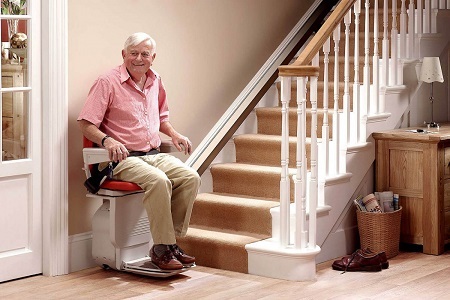 It should be borne in mind that stair lifts are not ADA compliant, if you use your property as a guesthouse or AirBnB. The railings of the lift often have to extend out past the bottom step, so you can access the chair easily and safely. Depending on the layout of the porch or deck, the railing might obstruct a sidewalk or walkway. This obviously has to be avoided to prevent a trip hazard, so you should consider a folding or hinged rail option. This switch is mounted on the wall at the bottom of the staircase, and often on the top of the staircase as well. You can move the lift to a different level, so it’s out of the way when not in use. You can then use the call/send switch to bring it to your level when you need it. 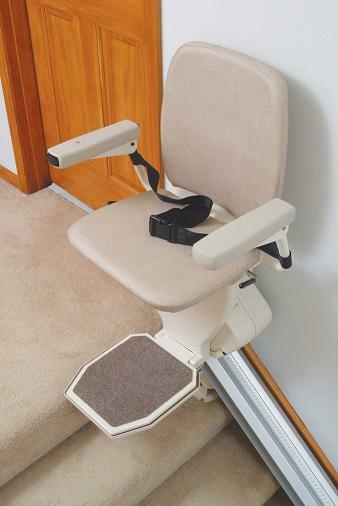 Ideally, your stair lift chair should fold away neatly when you’re not using it, so it doesn’t take up too much space. This is particularly important if you want your lift to blend in with the outdoor surroundings as much as possible. A customized outdoor stair lift has even more features than an indoor model, so it stands to reason that it doesn’t come at a budget price. An outdoor stair lift installation will require a professional assessment before you know what you can expect to pay. This is because every staircase is different, and your personal requirements also need to be considered. Weight capacity of the lift, angle and height of the stairs, hinged rails – all these things need to be factored in. To give you an idea of the price range of outdoor lifts, straight outdoor lifts typically cost between $3,500 and $6,500. Outdoor curved stair lift prices start at $12,000, and the price will increase depending on how long and complicated the staircase is. There are a number of reputable and highly-rated companies worldwide that supply outdoor stairlifts for private residences. 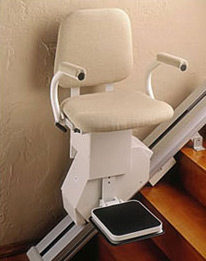 Stair lifts are not currently covered by Medicare. 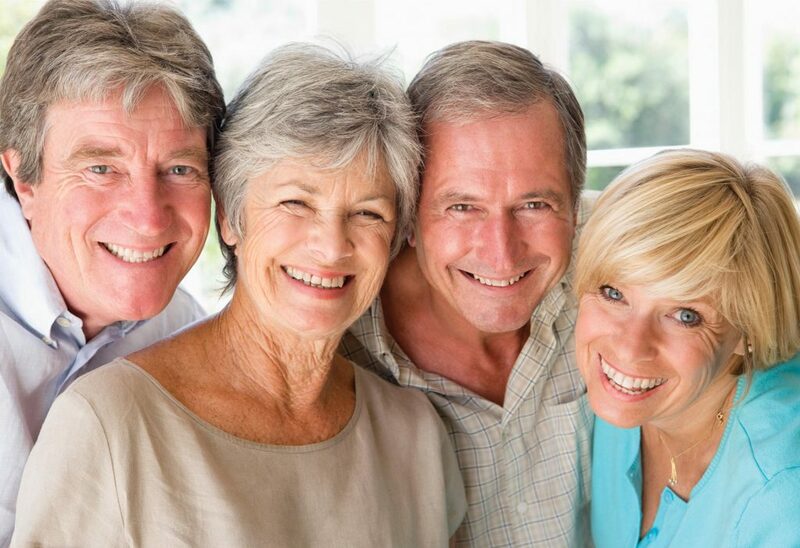 However, some organizations can help out with financing – speak to senior groups and ask for their advice. If you are a veteran, you might be able to organize assistance through the VA. If you enjoy being outdoors at home, there’s no need for limited physical mobility to stop you. 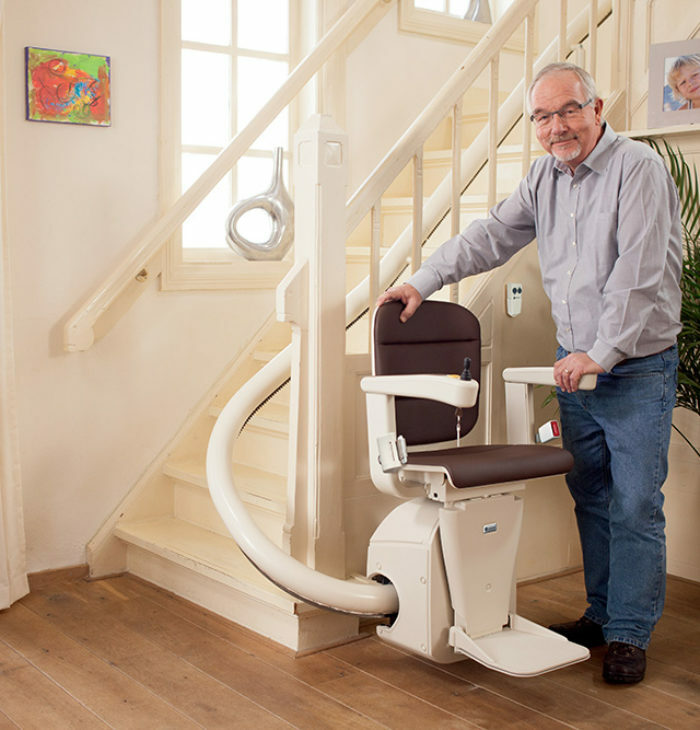 An outdoor stairlift will help you get around almost as freely as you always did. The other side of the story is, of course, that an outdoor stair lift can be pricey to install. But what price can you put on your freedom? After all, there’s plenty of evidence that shows that aging at home in comfort and independence, for as long as possible, is highly beneficial for your wellbeing.